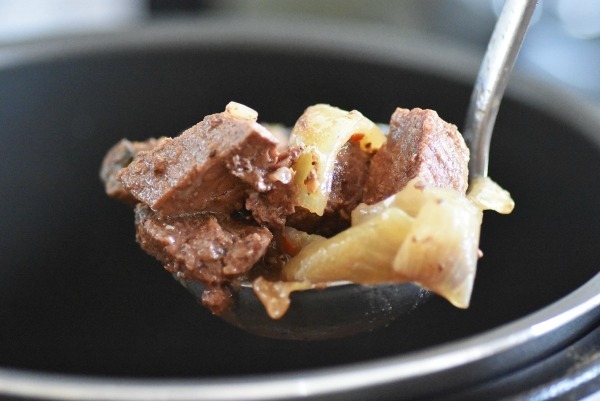 About 15 years ago, I was first introduced to a Slow Cooker Cubed Steak and Onions. Prior to this encounter, i had never heard of a slow cooker in my life. I know, I know...super weird huh? My then boyfriend’s mom was in love with her retro looking “Crock Pot” and would cook all sorts of stuff in it. At first, I thought this little magical cooker that would make yummy dishes on her counter was weird, but as I grew up I realized just how awesome slow cookers truly are. While I do not use my slow cooker nearly as much as my mother in law does, I do love the yummy meals it can produce. I got an amazing deal on a cheaper cut of beef this past weekend, and cubed steak and onions popped into my mind. 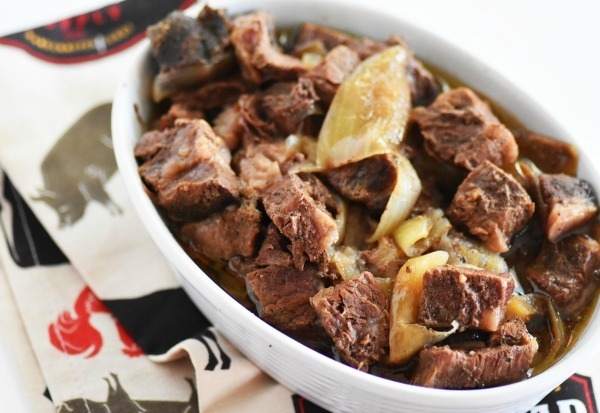 I love the way a slow cooker can transform a cheaper cut of meat into a tender, savory and flavorful meal. I add onions to my cubed steak because I think onions and red meat pair together perfectly. They complement each other’s flavors and go hand and hand. Since most cheaper cuts of round beef have plenty of fat content, I just added 1.2 a cup of plain water to my slow cooker along with some key spices. Our family loves sweet mashed potatoes because they are healthier than their white counterparts. This slow cooker cubed steak produces it’s own delicious gravy that is so awesome poured over the sweet potatoes. 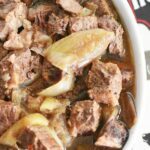 I just loved how this recipe transforms a cheap cute of beef into a melt in your mouth, flavorful dinner. 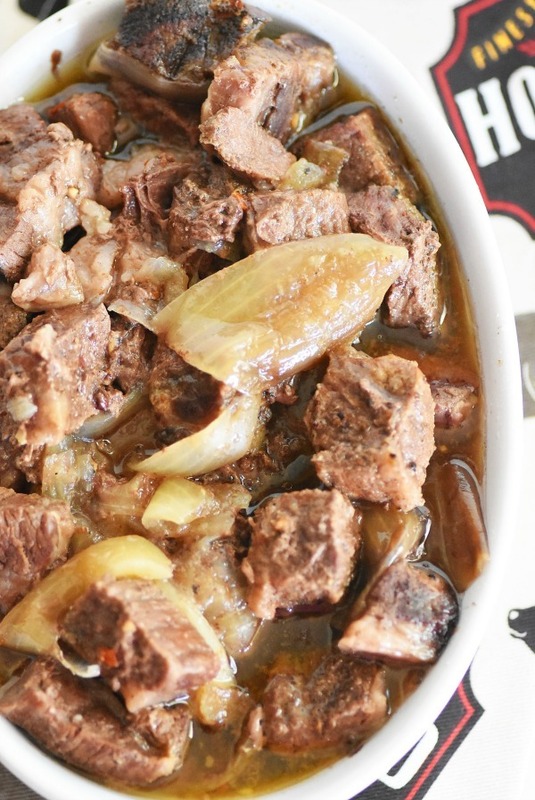 A great recipe for cheaper cuts of beef that will melt in your mouth. 2-3 lbs of cheaper cuts of beef. I used two 1 1/2packages of bottom round steak. I have been looking fr new crock pot recipes. This one looks good. I’ll have to try it out. This will be making its way to my table this week. I use my slow cooker all the time, and I LOVE beef. Thanks so much for sharing this. It looks super easy. For a moment I thought this was cubesteak in a crockpot (which I have done). I love all of my crockpots, they are the best! I really enjoy using my crock pot. This sounds like a great recipe. That sounds absolutely amazing. I will have to see if I can find that seasoning here.